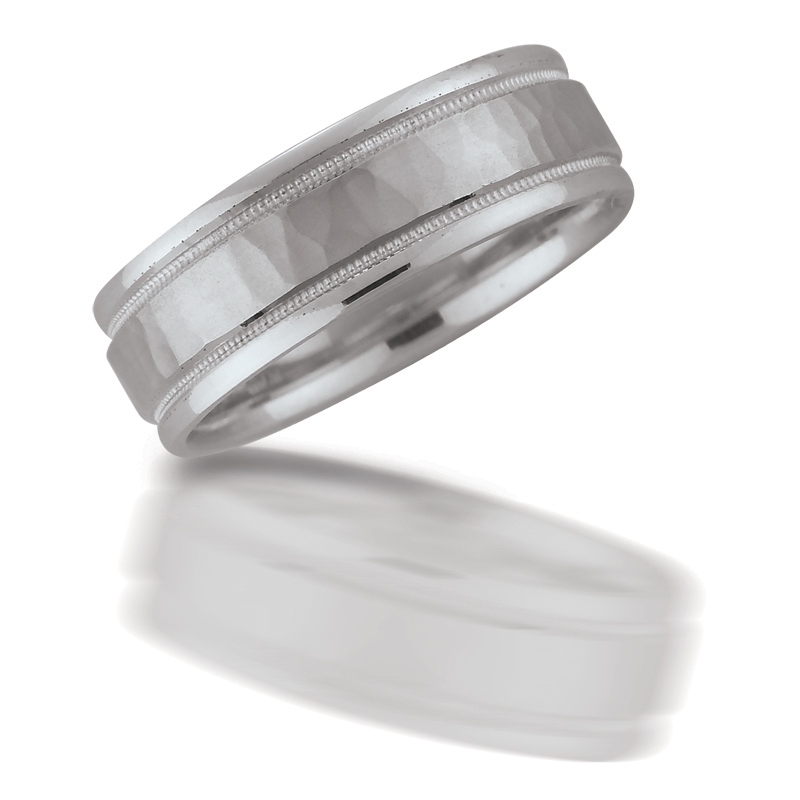 Ring Details: 18k white gold with a hammer frost finished center Section, milgrain grooves and high polished edges. This elegant men's 18k white gold wedding band ring, features a hammer frost finished center Section with milgrain grooves and high polished edges. A symbolic expression of your everlasting love!